Inviting and open aren't always the first words that spring to mind with a pendant, but they certainly fit the Hakki pendant lamp. Its accessible silhouette crafted from intersecting metal frames. 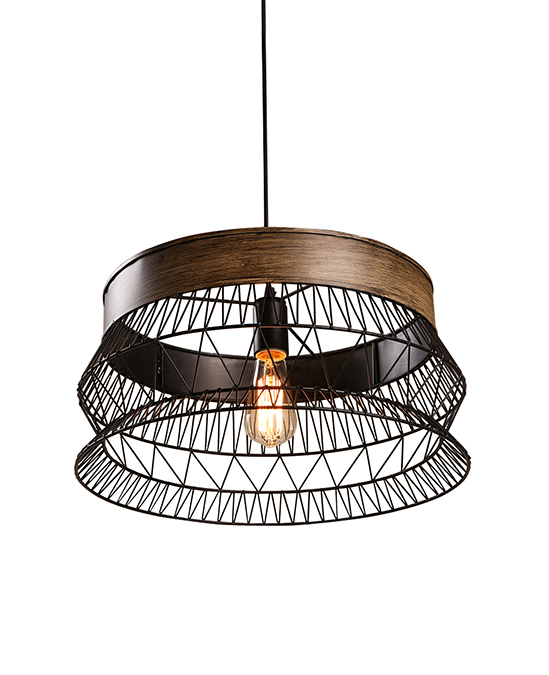 This amazing metal pattern is augmented with a beautiful warm touch of timber in top of the shade. 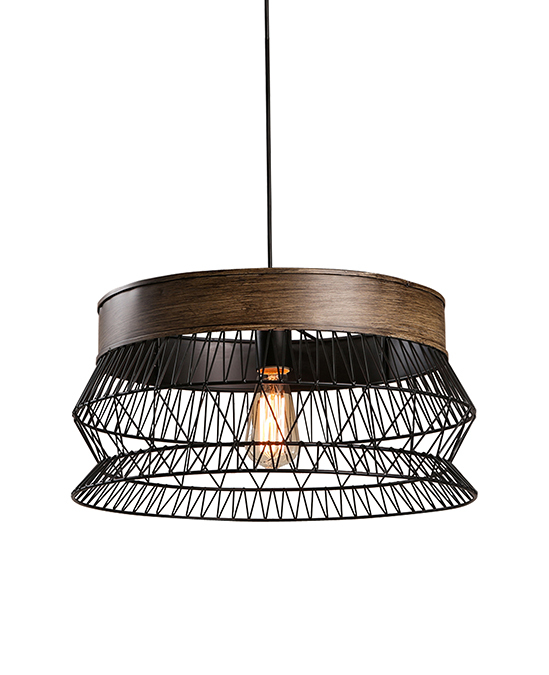 A striking choice in any space, this pendant will resonate in any decor.